What can ya do, you know? So I’ve been lazy. Really lazy. Colossally lazy. It’s high time I get active with this site again. I’ve been shooting a lot of photos, and adding to my gear collection, so it’s time to start talking about all of that. Keep your eyes peeled for some new content soon! I bid for and won a Sony a5000 camera on Ebay to use as a second shooter. What do I think of my purchase? Does this camera even have a place in 2018? The Sony a5000 camera. A nice little camera if you keep its limitations in mind. Well, of course it has a place in 2018. That’s a silly question, but I see a lot of videos on YouTube with a variation of that question as a title. 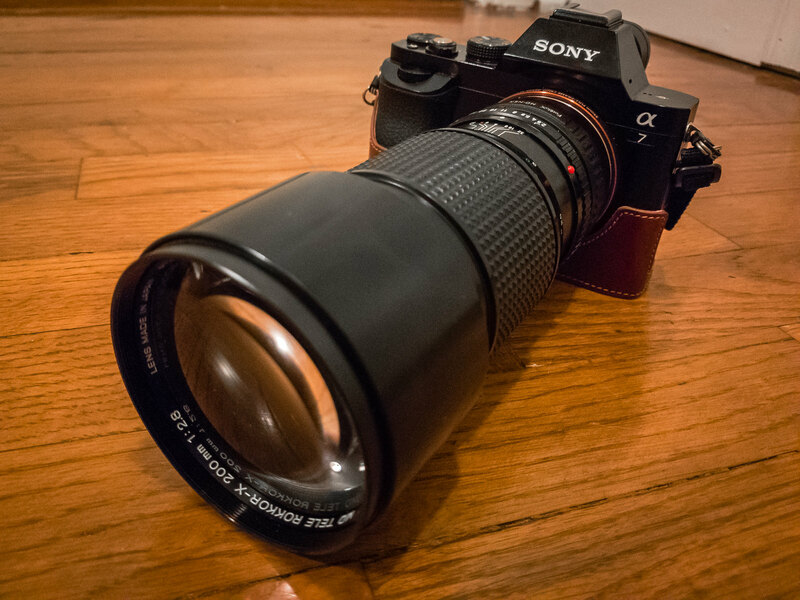 If it takes good pictures, is compatible E/FE Sony lenses, and is easily acquired, it has a place in 2018. Don’t let anyone sell you differently. I paid a little over $100 for it with a 16-50mm kit lens included. I purchased it so I could have a backup to my a7 and to use as a second shooter. In that role, I think it succeeds admirably. Is it a match for my a7? Not in any known universe, and I’ve been to several… but perhaps I’ve said too much. Welcome to Flickr Fridays, where I highlight a picture I particularly enjoy on flickr and talk a little bit about it. This week, I feature a shot of the US Capitol at night. Want to shake things up a little bit (well not literally?) Slow down the shutter speed! This Fourth of July in the DC area was, frankly, awful for those of the pale redhead persuasion. The heat was awful. The humidity was awful. I think what I’m saying is that the weather was awful. So rather than fight the crowds, and the Metro, and the heat and all of that jazz, we decided to have a family night in the back yard, with sparklers. Yeah, probably sounds kind of lame – nothing to go boom! But, I looked at it as opportunity to fart around with my camera and see what happens. Now I’m not such a n00b that I don’t know what happens when you set a camera to a long exposure time and point it at a moving light source – I’ve used it before to streak headlights and to make star trails. What I wanted to do, however was use the opportunity to make some interesting pictures and make the most of what was available. I think I’m going to give a crop sensor camera a go-around and see what happens! I found a Sony a5000 on ebay for around $100 with a low shutter-count, and so I jumped on it. It’s hardly a cutting edge machine, or even a close match for what I’m shooting on now. However, I’ve been looking for something to use as a second shooter and to maybe do a little vlogging with, which will be easier to do with this camera. If there is one thing about the A7 series that I am not a fan of, it’s that the screen doesn’t flip-up for vlogging purposes, and so help me I’m not about to jury rig some setup with clamps and mirrors just so I can vlog with my camera. I feel like getting the A5000 was a good call. Should be fun! I’ll be sure to review it and share some pics here. Every Saturday, I’ll post my latest images added to my Instagram. If you are on Instagram, I encourage you to follow me. It would be much appreciated, and I’d be more than happy to return the favor.